Glutathione is the master antioxidant and detoxifier of every cell in your body. As the most important antioxidant produced by the body, It prevents cellular damage caused by free radicals and peroxides. Glutathione is synthesized in the body from the amino acids L-cysteine, L-glutamic acid and glycine. The amino acid cysteine is responsible for the biological activity of Glutathione. Supplies of cysteine are the rate-limiting factor in Glutathione synthesis by the cells, since cysteine is relatively rare in foodstuffs. Furthermore, if taken as the free amino acid, cysteine is toxic and spontaneously destroyed in the gastrointestinal tract and blood plasma. But how does Glutathione works for skin ? Glutathione is present intracellularly in its reduced form and plays an important role in various physiological functions. Its skin-lightening effects result from direct as well as indirect inhibition of the tyrosinase enzyme and switching from eumelanin to phaeomelanin production. It is available in oral, parenteral and topical forms. Oral glutathione is derived from torula yeast (Candida utilis). It is marketed as a food or dietary supplement, either alone, or in combination with vitamin C, alpha lipoic acid and other antioxidants. 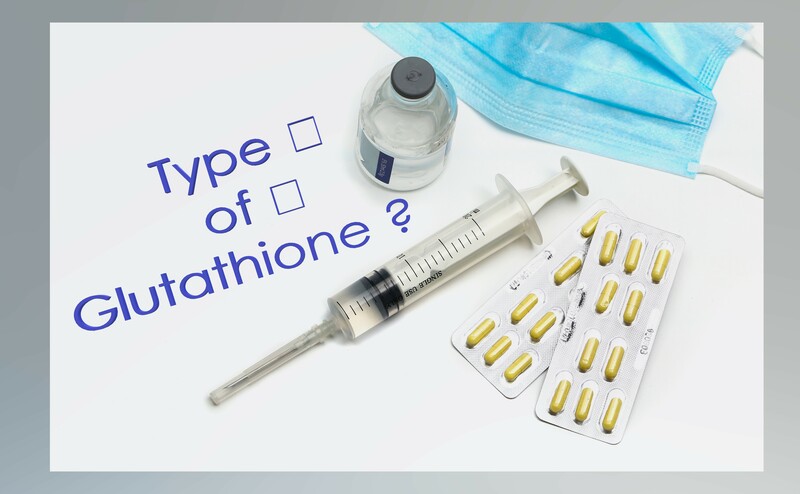 Although the use of intravenous glutathione injections is popular, there is no evidence to prove its efficacy. The bioavailability of oral glutathione in humans is a controversial subject. A single-dose study conducted by Witschi et al. in seven healthy volunteers reported no significant increase in plasma glutathione levels for up to 270 min. A randomized, double-blind, placebo-controlled study on oral glutathione supplementation (500 mg twice daily for four weeks) in 40 healthy adult volunteers failed to show any significant change in serum glutathione levels. In the other side, The FDA made the warning as the injection of glutathione IV is being offered as a service in beauty spas, the report said. The report further said that the oral intake of glutathione capsules should be limited to 500 milligrams in a day (http://www.gmanetwork.com). How to boost production of glutathione in the body ? The National Institute of Health (NIH) still claims that GSH deficiency is “very rare”, but we could boost gluthatione level in our body for skin whitening purpose. Eating a diet rich in the full spectrum of nutrients, high content of antioxidant provides vitamins and minerals that are important in boosting glutathione levels. However, it is important to consume foods in the proper way to reach your overall health and wellness goals, you’ll also enjoy the naturally occurring glutathione benefits!